There are many examples world wide of instances of money laundering which demonstrate the transnational nature of these offences and the co-operation of multiple agencies globally to investigate and prosecute offenders. The complex legal questions that arise concerning the sharing of information between agencies, the possibility of being subjected to punishment in two jurisdictions including extradition and the laws concerning the extent to which countries can send private information to other countries, makes these investigations highly complex. In cases such as these it is necessary to ensure that you have experts on your side who have worked in a transnational criminal law environment and have conducted cases involving parallel transnational criminal investigations and prosecutions. Below are some cases which have been highlighted to demonstrate the extent of the transnational nature of many of these offences. 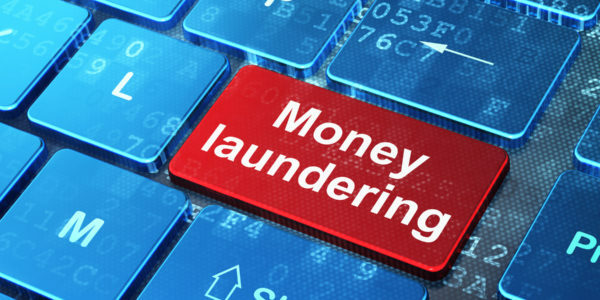 The global reach of money laundering in all of its various guises has become the focus of international law enforcement co-operation to detect, prevent and prosecute it wherever it is occurring. 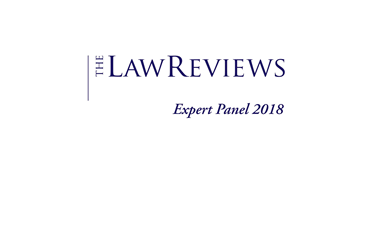 Nyman Gibson Miralis money laundering lawyers have compiled examples of cases which have been detected all over the globe demonstrating the large variety of environments within which it is occurring and its many categories. Hong Kong’s Joint Financial Intelligence Unit (JFIU) received information that an individual had taken out a life insurance product and paid HK$ 8 million in one go via his personal bank account. He then cancelled his premium and suffered a HK$ 2 million penalty. Investigations revealed that this individual was the subject of corruption investigations in another jurisdiction. This information was shared with the JFIU. A charity registered under the Charities Act in the United Kingdom used Western Union money transfer / Money Gram / MO / banking and cash channels to send money which was then used to support sleeper cells, jailed terrorists and families of terrorists. AUSTRAC information assisted authorities to identify offshore bank accounts and international funds transfers in relation to a complex tax avoidance scheme involving funds transfers between Australia, Samoa and New Zealand. The scheme involved the use of an offshore superannuation fund and a loan arrangement to avoid tax. Part 1 covers international transfers made to an offshore superannuation fund and the rapid return of these funds to Australia. Part 2 covers the ongoing international transfers of funds under a fictitious loan arrangement over ten years. Part 3 describes the transfer of this loan arrangement to another Australian company when the original company went into liquidation. This covers a further four years’ worth of activities. Part 4 shows how a charity became involved in the loan arrangement. Individuals A and B are family members who own and control a group of Australian companies. They received information from their accountant about the benefits of opening a superannuation account offshore. They instructed the accountant to open a superannuation fund in Samoa. A Samoan-based company acted as a trustee of the fund. Company 1 formed part of the Australian company group controlled by A and B. It made 2 deposits of AU$100,000 to the superannuation fund in Samoa. The funds were then transferred to a private bank in Samoa. The funds were then returned by the bank to Australia within a month of the initial deposit from Australia. They were described as a loan to Company 1, even though there was no loan agreement in place to support this. Company 1 then claimed deductions for the offshore superannuation contribution in its tax return, and was assessed as liable for less tax than it would have been. A and B entered into a loan agreement on behalf of Company 1 with the Samoan-based private bank, separate to the earlier transaction with the AU$200,000. A subsidiary company of the Samoan-based bank held a bank account in New Zealand and was instrumental in facilitating transfer of payments between the Samoan-based bank, Company 1 and other companies/individuals in the group controlled by A and B. Companies controlled by A and B would then make ‘interest’ payments on the loan to the Samoan-based bank, or its subsidiary in New Zealand. These payments were then borrowed back from the Samoan-based bank or its subsidiary, with the funds going back to companies or individuals in the group controlled by A and B. This complex arrangement was meant to disguise the funds movements as legitimate transactions associated with the loan. In reality, any funds sent overseas ultimately returned to the original beneficiary; either Company 1 or other companies in the Australia-based group. Company 1 went into liquidation, forcing the ATO to write off AU$800,00 in a tax debt. The loan liability described in Part 2 was then transferred to Company 2, which continued to make payments according to the arrangement set out above. In its tax returns, Company 2 claimed deductions for interest expenses and fees paid to the Samoan-based private bank. These deductions reduced its taxable income and it was assessed as liable for less tax than it should have been, allowing Company 2 to avoid its tax obligations. Another Australian organisation (a trust) was introduced to the arrangement. This organisation was unrelated to the main group of companies and was described as a charitable organisation. It facilitated the transfer of funds between the Samoan-based bank’s New Zealand subsidiary and the Australian group of companies.